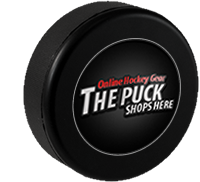 TweetINSIDE SPORTS is pleased to announce a new partnership with the discount online hockey supply store “ThePucksShopsHere.com”. As part of the sponsorship agreement, any customer using the promo code “InsideSports”, will receive a 10% discount at checkout. ThePuckShopsHere.com carries the most extensive selection of the most trusted brands in hockey, at the best prices, and offers free shipping on all orders over $75.00. This entry was posted in Advertisements, NHL and tagged sponsorship, the puck stops here. Bookmark the permalink.